My name is Dr. Linn….Worth IL Chiropractor-thanks for coming to this website. Have you been involved in an auto accident of some kind? Take a second and get your free copy of this special report. Among, other things, it discusses the hidden killer that many car accident victims unknowingly inherit immediately after their collision! 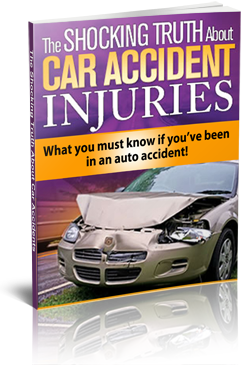 This Report also has information in it that protects Car accident victims by plainly exposing what their doctors and insurance companies may never tell them… not knowing this simple piece of information could cost you time, money, and years of pain and suffering! Get it Instantly Plus Qualify for a Free Consultation. Just Complete The Form on this page!